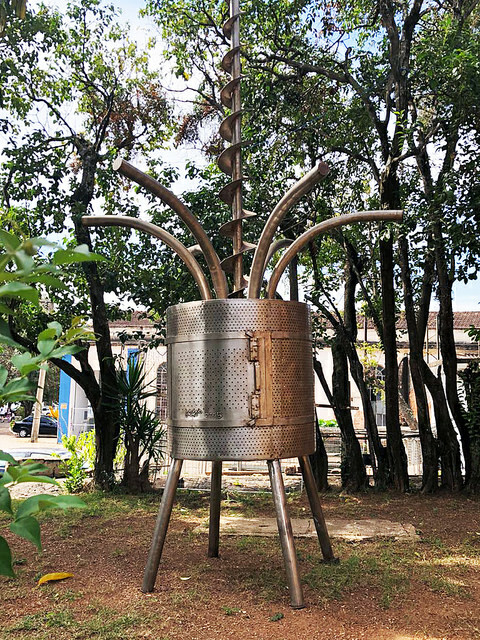 In the town of Itu, a two-hour drive from São Paulo, you’ll find FAMA. 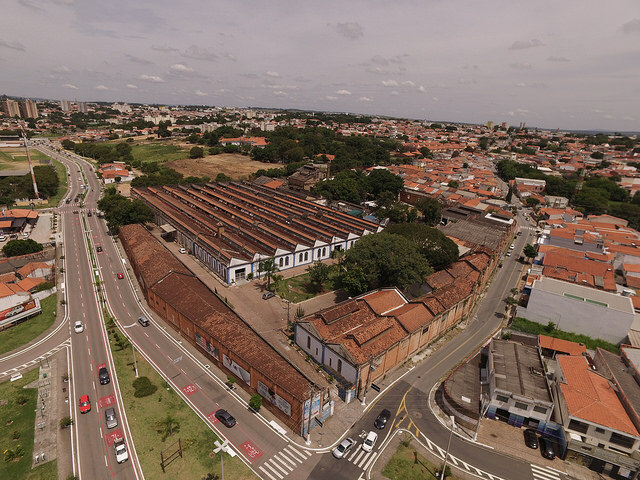 The acronym for fame in Portuguese stands for Fábrica de Arte Marcos Amaro, an art factory managed by the Marcos Amaro Foundation (FMA), established by art patron Marco Amaro in 2012 on a twenty-thousand-square-meter property of an old textile mill. Amaro, the thirty-four-year-old entrepreneur, is himself an artist, art collector and philosophy major, and son of deceased billionaire pilot Comander Rolim, founder of TAM Airlines, now part of the LATAM Group. 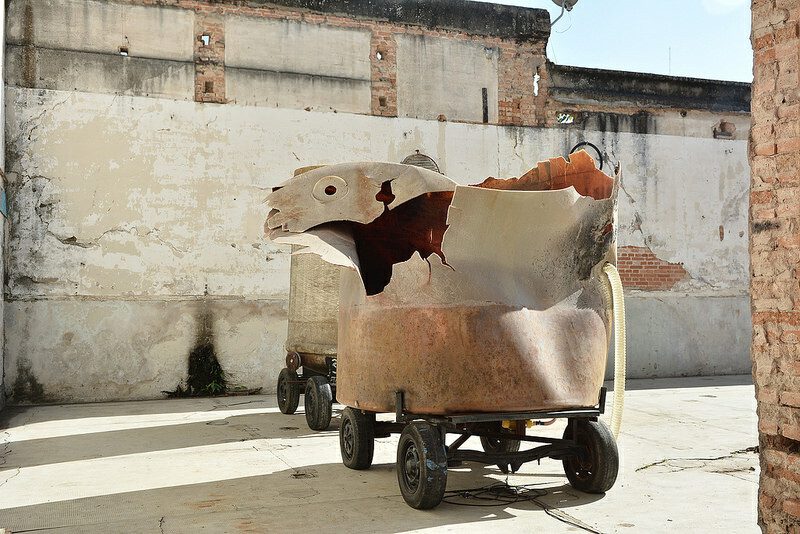 Since June 2018, the outdoor space with huge red brick ruins, originally styled in the fashion of the late-nineteenth-century Industrial Revolution, was revamped into a sculpture garden with works by renowned artists such as Caciporé Torres, Emanoel Araújo, Gilberto Salvador, José Resende, José Spaniol, Marcos Amaro, Mário Cravo, Mestre Didi, Sergio Romagnolo and Edith Derdyk. 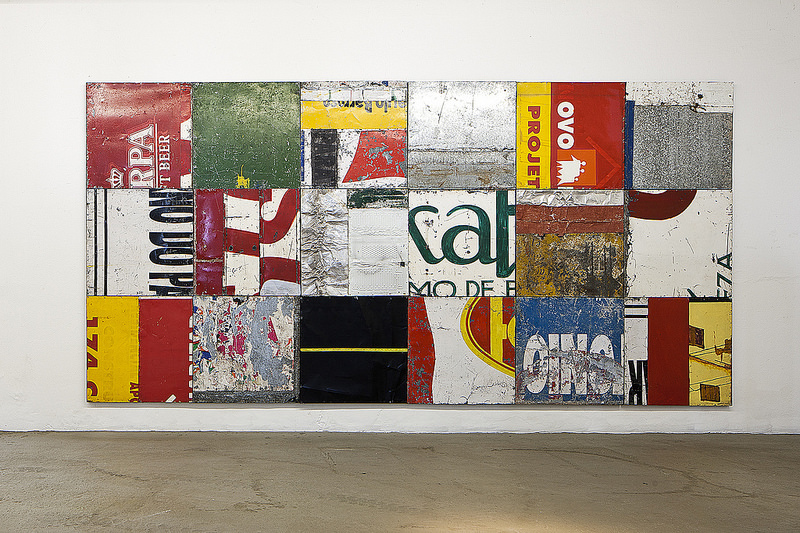 In the warehouses, now occupied with the foundation’s collection of fifteen-hundred mostly large works, the highlight is the permanent exhibition with tridimensional pieces—a special focus of the founder—by luminaries such as Adriana Varejão, Cildo Meireles, Iole de Freitas, Nuno Ramos, iconoclastic Nelson Leirner and Amaro’s close friend, the deceased artist who went by the name of Tunga, as well as the patron’s own large assemblages rightly appropriated and recycled from old aircraft fuselages he takes apart and welds in his gigantic studio in one of the brick buildings. 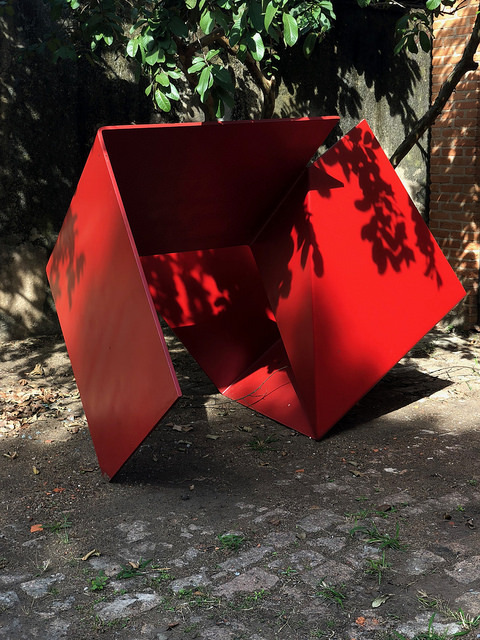 In 2017, the entrepreneur-collector-artist began by acquiring São Paulo’s Emmathomas gallery in the Jardins, keeping its original name. 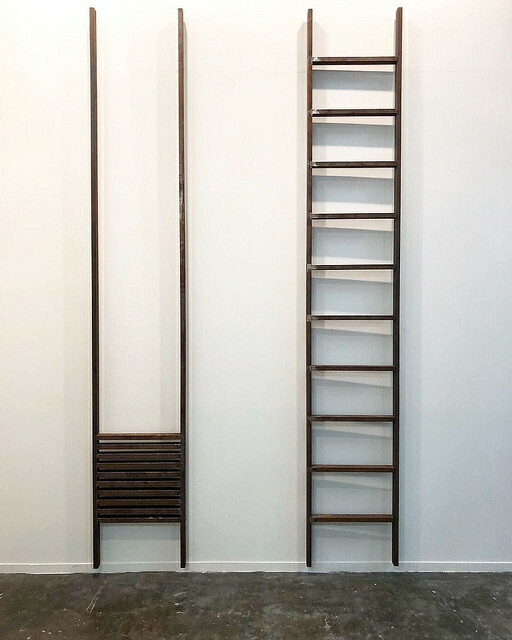 A year later, the gallery doors opened under the new administration with a collective show curated by Ricardo Resende, who also curates FAMA in Itú, with sixteen artists, among them Marcia Grostein, who has lived in New York since 1977, and Berlin-resident Alex Flemming. 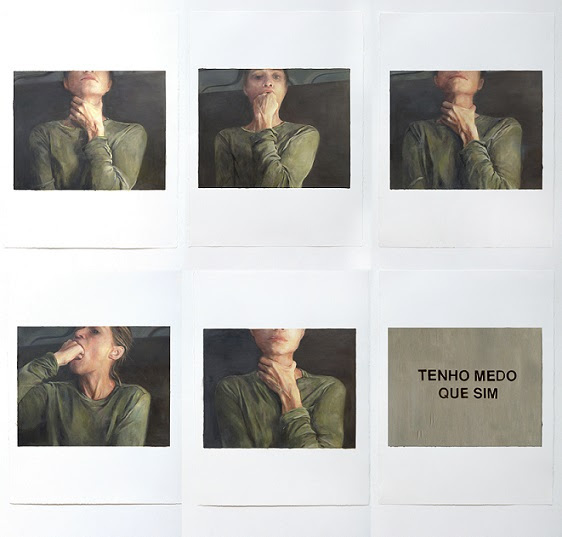 In November, Amaro, who is married to a Russian pianist, exhibited his own work in a solo exhibition curated by Marcos Lontra at Luiz Maluf Art Gallery in the São Paulo Jardins. This month on the FAMA grounds, conceptual artist Regina Parra opened the solo exhibit of her works “Eu me levanto,” based on the poem “Still I Rise” by African-American poet Maya Angelou, along with a contemporary dance presentation Parra co-choreographed. 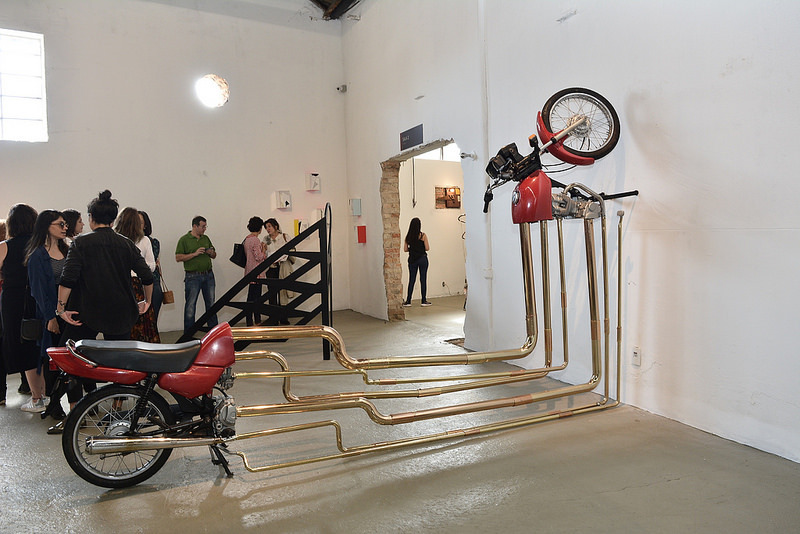 In 2018 alone, the Marcos Amaro Foundation provided for about a hundred artists’ residencies, and since June almost four-hundred elementary and university students visited the art factory. We talked with the millennial behind all this. Marcos, when did you begin collecting art? It all began when I acquired the 1954 canvas “O Menino com Carneiro” (The boy with the Lamb) by Cândido Portinari in 2008. The work is no longer in my collection. When I started I concentrated in artists of the modernist period of Brazilian art, mostly Di Cavalcanti, Portinari, Guignard and Pancetti. Since when did you decide to become an artist? I began drawing as a kid. My family was always very supportive and stimulated me to the arts. Sculpture came later and I feel it unravels my poetic imagination. 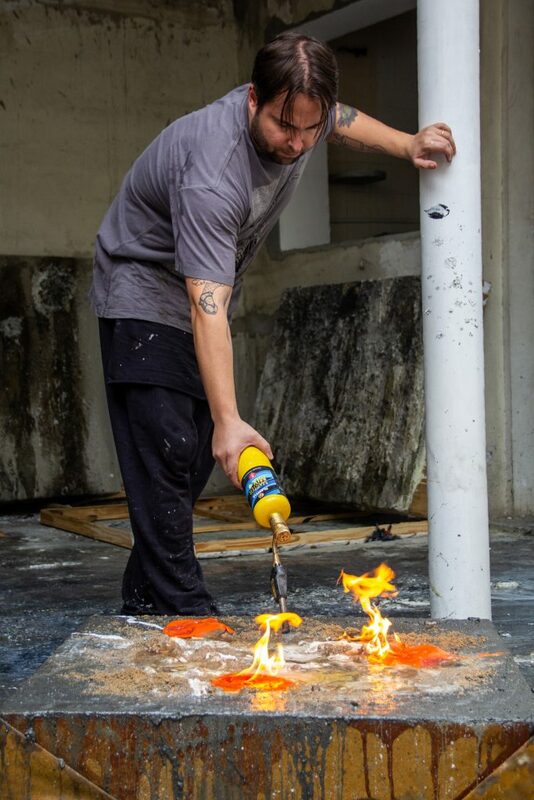 Then I studied philosophy and took classes at the Ateliê do Centro, the art studio of artist Rubens do Espírito Santo, and my artistic career took off in 2010 in my inaugural exhibition at the Sé subway station in São Paulo. 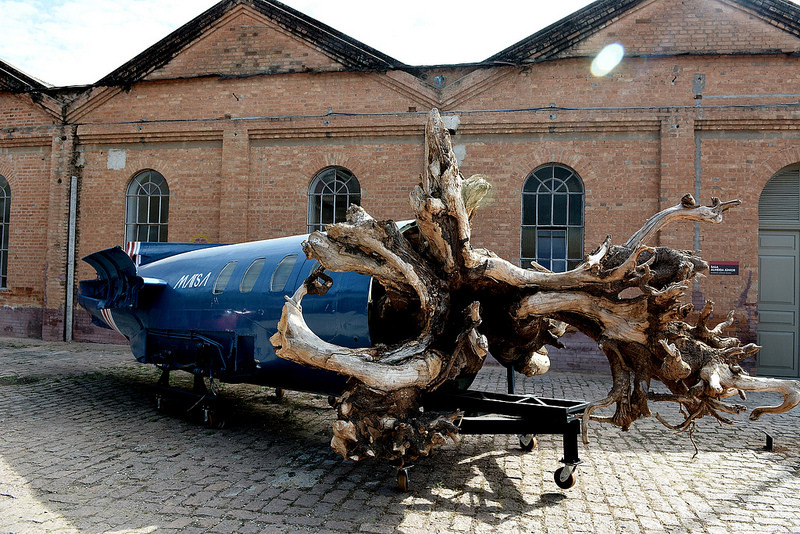 Your own sculptures are big and bold assemblages, mostly incorporated from aircraft fragments. My obsession with airplanes comes from my childhood. Later on, I went to a flight school, although I no longer fly planes myself. In my present production, I take small aircrafts apart by using acid and a welding torch as a way to remove the planes’ memories. Presently I am focused on researching new tools to advance my work. Basically, my work is appropriation and assemblage, taking things apart fascinates me. 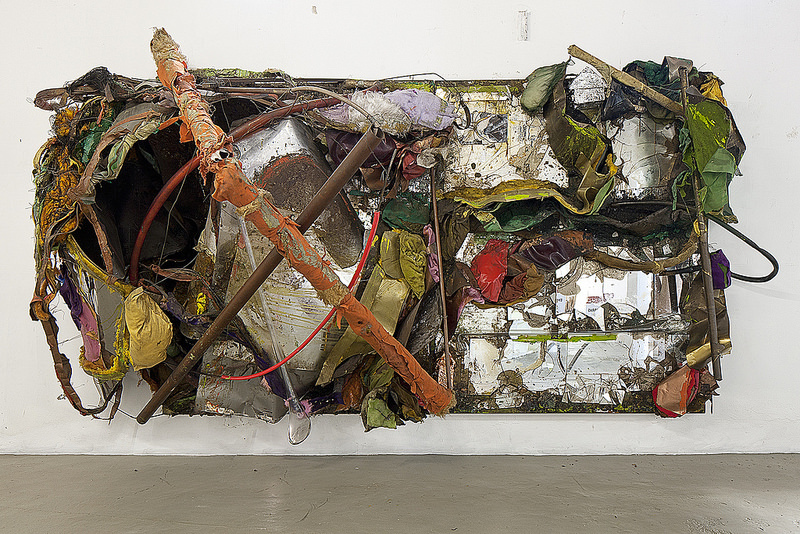 Who are the referential artists in your work? I do not have a sole artist I prefer. 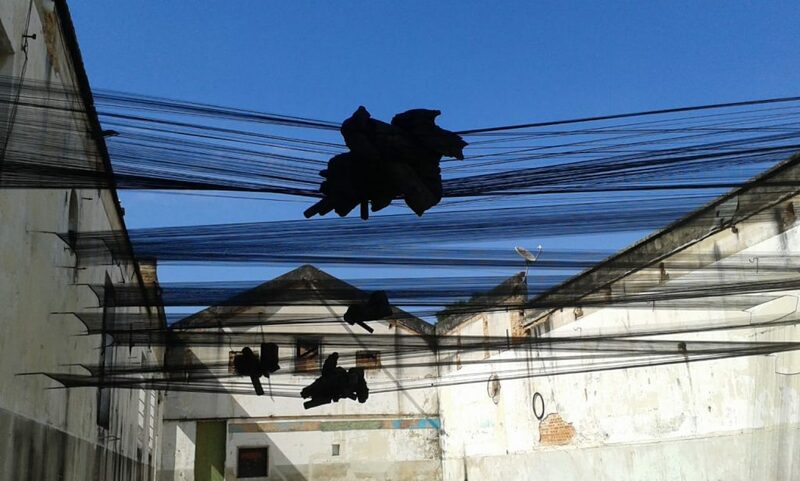 I greatly admire the artwork of a group of artists like Beuys, Tunga, Nuno Ramos and Farnese de Andrade. Now let us focus at your FAMA (Marcos Amaro Foundation). What is the mission of the foundation? 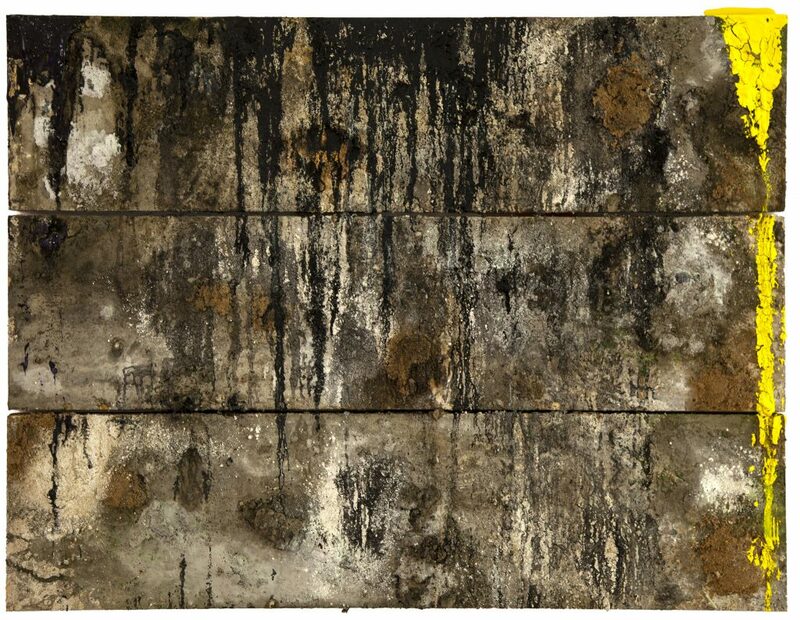 The mission of the Marcos Amaro Foundation is, above all, to research the paths of Brazilian art. Its focus is to preserve the country’s cultural memory and its contemporary art through actions, public announcements, the Marcos Amaro award for the arts and partnerships for artistic residencies, as well as to develop the foundation’s collection and its research. How long do estimate it will take to achieve it? In five years time, we will be more consolidated and closer to achieving our dream. What was your total investment up to now at FAMA? Taking into account the collection plus the purchase of the old textile mill, and providing for a basic infrastructure, all in all the investments amount to twenty-five million dollars. 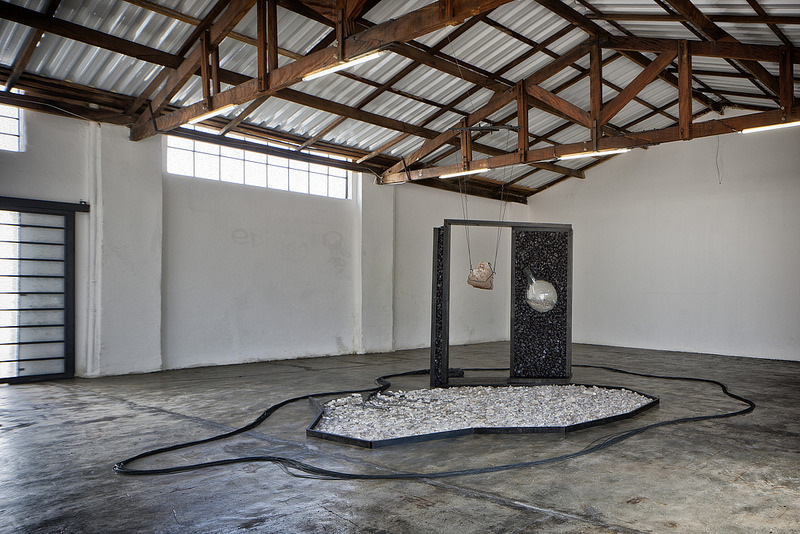 At Inhotim, Bernardo Paz renounced the presidency after being accused of money laundering and more. What precautions have you taken? 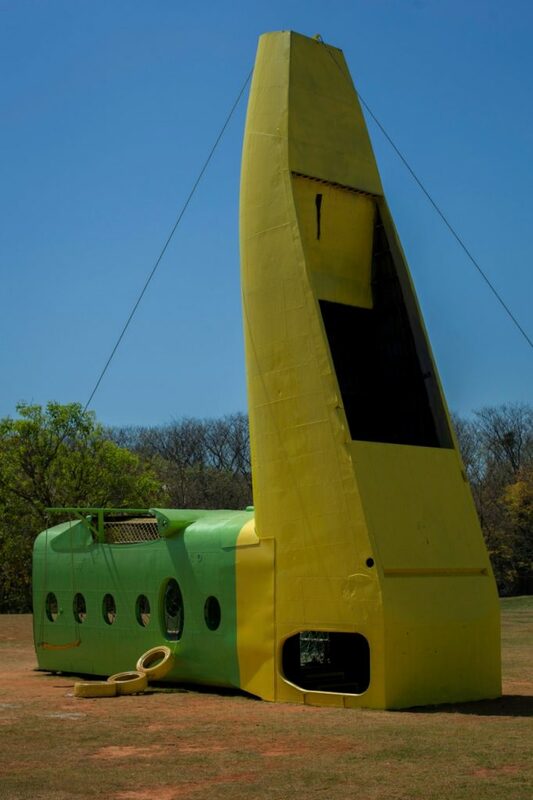 What have you learned from Inhotim’s pioneering art experience? We believe we are different from Inhotim in many ways. We will not destine a whole pavilion to a single work by an artist. 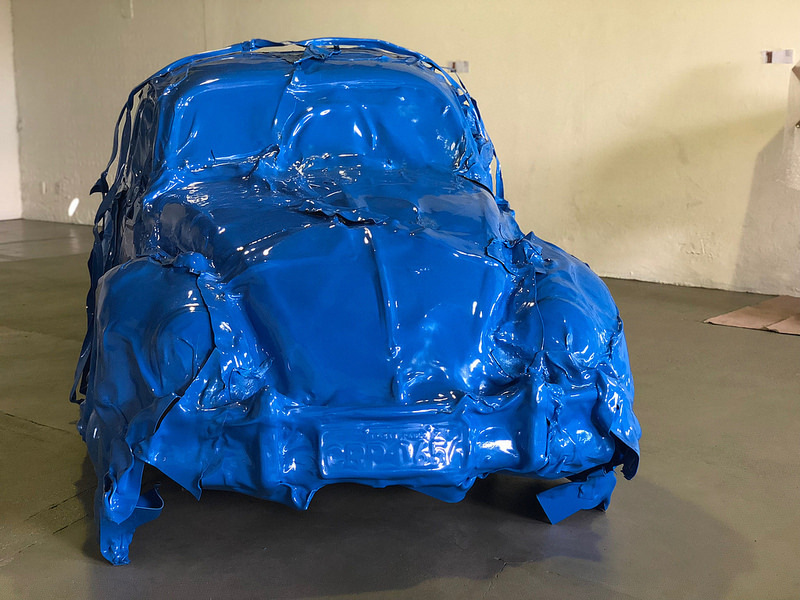 Our aim is to develop the collection by acquiring more works from a group of artists like Regina Silveira, Nuno Ramos, Gilberto Salvador and José Resende to trace their trajectory. 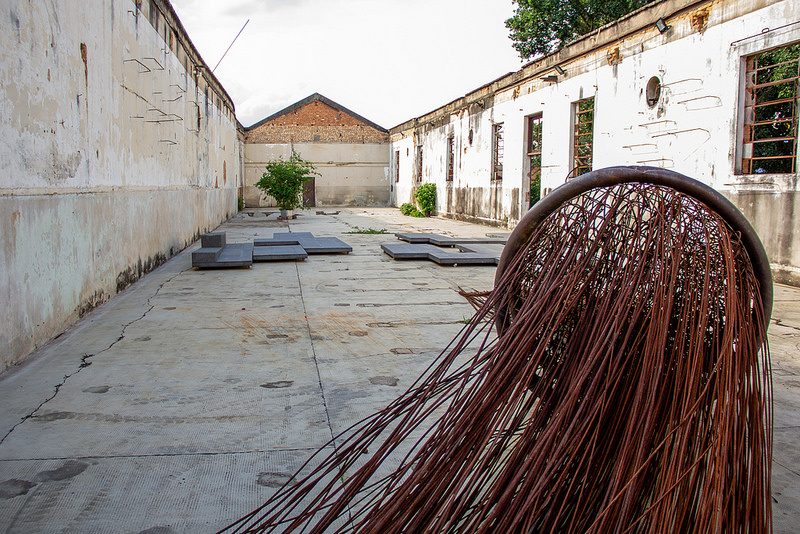 Another aspect of how we differentiate from Inhotim is in its architecture; we occupy the remains of an old textile factory. We are engaged in a very detailed and cautious planning for an investment fund through endowment in order to make the project feasible in the long run. 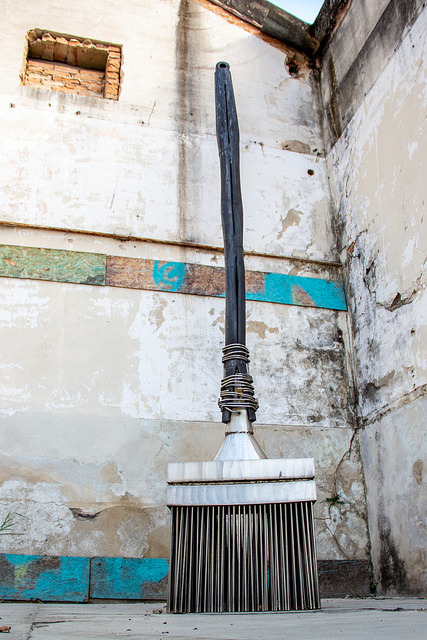 Most of the art on show at your foundation are sculptures, installations or tridimensional wall pieces. How about painting, drawing and photography? We have an important collection of drawings mostly by Tarsila do Amaral that has not yet been showed and a significant collection of contemporary photography. We will show them all in due time.